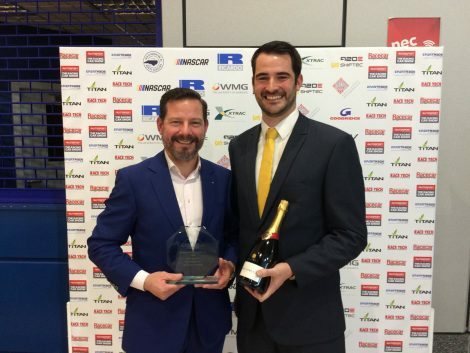 STC Board member Kieron Salter’s business KW Special Projects has collected more silverware – this time at the Motor Sport Industry’s Business Awards ceremony. Bicester based KWSP, also an STC member company, received the MIA’s New Markets Award at a glitzy ceremony at NEC Birmingham. The judges recognised KWSP’s first-of-a-kind transfer of proven motorsport technologies and capabilities into other sectors, including electric vehicle development, ceramics and performance sports. KWSP’s success at the MIA ceremony came after MD Kieron and the company respectively won the Northamptonshire’s Businessman and Business of the Year awards in November 2018. Kieron commented: “Having grown out of the UK’s vibrant motorsport industry, KWSP brings innovation, creativity and dynamism to all of its projects. “Utilising a wide range of proven and emerging technologies – such as additive manufacturing, new materials development, light-weighting, PC-based controls and even virtual reality, we are continually driving innovation across multiple markets. It was the second time in three years that an STC member company had won the award – Wellingborough based RML Group Ltd was the recipient in 2017.